Brenda Balfour holds an Honours degree in Outdoor Recreation from Lakehead University and a Master’s in Science from Indiana University. Before earning her Bachelor of Education at Brock University, she taught in the Department of Recreation and Leisure Studies for six years at Green Mountain College in Vermont. She joined the HTS faculty in 2002 as a Grade 5 homeroom teacher. In 2010, she assumed the role of Junior School Coordinator, Curriculum Mapping Lead, and Grade 6 homeroom teacher. Since 2013, she has held the position of Assistant Head of Lower School. James Darling. As a former student and teacher at Lakefield College School, James Darling has literally grown up in the independent school system. 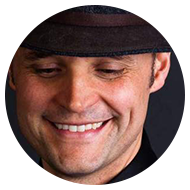 Completing an Honours BA in English at Wilfrid Laurier and Trent University, a teaching degree at the University of Toronto and his Master’s of Education in Melbourne, Australia, James has had plenty of opportunity to observe and assess various theories about education. Since James first came to HTS in 1999, he has taught both English and drama in Senior School. For the past decade, he has been the Leadership Programme Coordinator for the Senior School, co-director of the Senior School play and coach of the Senior Boys Soccer team. Currently, he is Head of the English Department. James resides in Toronto with his wife Linton, their two boys and the family dog. James and his family recently spent a year abroad, travelling and studying in Australia. Patrick Fraser currently serves as the Assistant Director of Admissions at Stanstead College. He holds a BA in Political Science from the University of Victoria, an MA in International Relations from the University of Waterloo, and is presently working on an M. Ed. at Bishops University. Prior to moving to Quebec, Patrick lived in South Korea, China, and Thailand where he worked as an ESL teacher. He lives on campus with his wife, Katie, and his daughter Elizabeth. Chad Holtum. 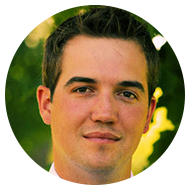 After completing his Bachelor of Commerce in Marketing and Finance, Chad spent 4 years in government implementing programming for youth throughout British Columbia. A teacher at heart, Chad then returned to school and completed his Bachelor of Education. He began his education career in the classroom teaching IT, Media Arts, Business Education, Marketing, PE, and band! Yes, band!!! After a short stint in the public system, Chad joined Lakeside Preparatory Academy as Director of Admissions and teacher. During his time there he doubled the school enrolment in two years. He then moved to Queen Margaret’s School as Director of Admissions & Marketing, and was promoted to Deputy Head of School. It was here where Chad was able to achieve a 50% increase in enrolment in six years, and build Queen Margaret’s to be the largest all-girls boarding school in Canada at that time -while also completing his Masters in Education and Leadership. 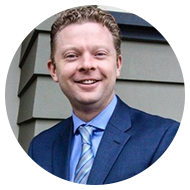 In 2008, Chad was hired as the Director of Enrolment and Marketing at Shawnigan Lake School, Canada’s largest boarding school. During the next four years, Chad spearheaded the overseas enrolment, domestic and international marketing department, and created the first preparatory school in Canada for second language learners as part of a boarding school. Chad was also able to increase Shawnigan's international enrolment by over 30% and broaden the student diversity by recruiting students from Russia, Brazil, Thailand, Nigeria, and Spain - to name a few. Currently as Deputy Head at Glenlyon Norfolk School in Victoria, Chad has increased new student enrolment by 50%, along with implementing an innovative family boarding program, the first of it’s kind in Canada. He leads a newly formed unit that is responsible for advancement, admissions, marketing, communications, family boarding and alumni relations. This past year Chad doubled capital gifts to the school and not only doubled the parent participation to the annual fund but the dollar amount. Santhe LeBlanc is the Head of Grade 8 and an Art Teacher at St. George's School, an independent school for boys in Vancouver. Santhe has 18 years of experience in an all boys environment and is described as having an ability to motivate the unmotivated and inspire students and faculty to leverage their creativity. 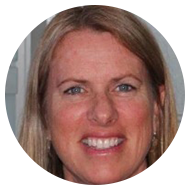 In her Head of Grade role, Santhe oversees the transition of students from the junior campus to the senior campus, the academic and character education for 150 grade 8 students, as well as the grade 8 advisory program. This year Santhe further led the development of a Grade 8 interdisciplinary academic cohort, which saw her work with faculty to create new curriculum opportunities while ensuring the establishment common elements and competencies across the grade. Santhe has also recently spent two years revamping the St. George’s Annual Hamper Drive, a charitable endeavor that has the entire school community come together to provide hundreds of families in need with basic necessities over the holiday season. Outside of work, Santhe has spent five years serving as a board member with the Reading Bear Society, a non-profit organization that runs a mentorship reading program for disadvantaged elementary school children. Neil Piller completed a BA in geography, a BEd in Social Studies and an MA in Curriculum Studies at the University of British Columbia. Neil owned and operated a successful adventure tourism business for nearly ten years before entering the field of teaching. After a short career with the Vancouver School Board, Neil moved to St. George[? ]s School where he has held a number of positions including Head of Outdoor Education, Director of Risk Management and currently Director of Operations. He is responsible for six departments: buildings, grounds, transportation, safety and security, food services and retail. In the risk management area, Neil[? ]s expertise is in developing strategies that enhance strategic goals, create organizational sustainability and protect the well being of students and staff. Katrina Samson is the Vice-Principal, Head of School at Appleby College, in Oakville, ON, a role she has had since 2010. Originally from the Ottawa area, Katrina completed her undergraduate (English/Health)and B.Ed (I/S, English, History) degrees at Queen's University, her M.A (Human Kinetics, Sports Administration) at the University of Ottawa, and is doing her Ph.D. in Educational Leadership at OISE/University of Toronto, focusing on leadership succession in Canadian Independent schools. Katrinalives on campus at Appleby with her husband (also a teacher) and four children. 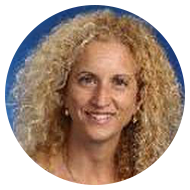 Taya Cicchetti has been teaching global languages (French and Spanish) from grades 7 – 12 for 15 years in CIS Ontario schools: Holy Trinity School, Appleby College and presently, Hillfield Strathallan College. Over the years, she has been a Department Head, School Life Coordinator and in May 2015, she became the Vice Principal of Grades 11 & 12 at HSC. Her passions include mentoring student leaders, French language teaching, recruitment, and personal growth and development in leadership. Taya proudly graduated from the CAIS Leadership Institute in 2015. Tamara Drummond is the Director of Student Life at Kingsway College School in Etobicoke, ON, where she oversees student wellness and discipline, including personal counselling, guidance and providing teacher support.Prior to joining Kingsway College School, Tamara was the Dean of Students (2007 – 2013) and a Social Studies teacher (2001 – 2013) at Sacred Heart School of Halifax, in Halifax, NS. While at Sacred Heart, Tamara oversaw discipline, assisted with the day-to-day operations of the school, and served as the faculty advisor to both the girls’ high school student council and prefect program. She was the Parents’ Guild Liaison (2007 – 2011), the faculty representative on the Board of Governors (2011 – 2013), and had the pleasure of serving as the faculty Conference Chair when Sacred Heart hosted the CAIS Student Leadership conference in April, 2011. Before relocating to Halifax, Tamara had worked for both the Peel District School Board and a private school in Mississauga, ON where she worked as a grade 7 homeform teacher. 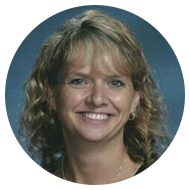 She also taught grades 9 – 11 mathematics and OAC World Issues. In all of her roles, Tamara has coached and continues to coach a number of school teams.Tamara Drummond holds an M. Ed. in Counselling from Acadia University, a B.Ed. (Intermediate/Senior History and Geography) and B.A. in History. 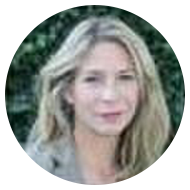 Additionally, Tamara is a member in good standing with The Ontario Association of Consultants, Counsellors, Psychometrists and Psychotherapists. Myke Healy completed his undergraduate degree and his Bachelor of Education (concurrent) from Queen’s University in the Outdoor and Experiential Education program. Myke joined the Social Sciences Department at Trinity College School in 2004. He became the Department Head the following year and has served as the Director of Teaching and Learning for the past five years. 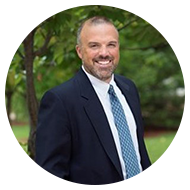 In addition to faculty development and curriculum, Myke oversees a number of strategic initiatives at TCS including the AP Capstone Diploma, the education technology plan, and the middle years Touchstones discussion leadership program. 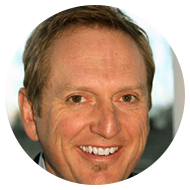 Myke currently serves on the board of eLearning Consortium Canada. 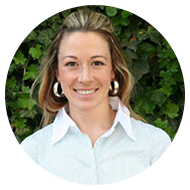 Claire Kelly has returned to the classroom full-time after serving as Upper School Director (2007-2011), Asst. House Director, and more recently, as Director of Academics (interim). 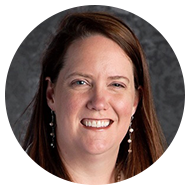 She teaches grades 11 & 12 English and will be adding the Capstone program (seminar) in the fall. She is completing a PhD in Education, and is married with two young boys. She looks forward with to the experience of the Next Steps program. 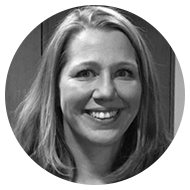 Wendy Milne joined the Shawnigan Lake School staff in 1997 after completing her B.Sc. in Mathematics and Geography at Trent University and her B.Ed. at the Intermediate-Senior level through the Trent-Queen’s Concurrent Education Program. After 15 summers attending and working at YMCA Camp PineCrest in Muskoka Ontario, making the move to the boarding environment was a quick transition, and the best decision she could have made for her career. Her move to BC was supposed to be for only one year, but when she settled into the School, she quickly wanted to stay. In addition to continuing with her passion as a mathematics teacher, Wendy has been a House Director, the Registrar, the Dean of Academics and is now the Assistant Head – Academics. Since her arrival 19 years ago, Wendy has also been able to be involved with rowing, outdoors, the Yearbook, and organized the School’s annual Ski Week for 15 years. Now living just off campus with her husband, Wendy’s life and career have been significantly impacted by Shawnigan and being able to work with such an amazing group of students and staff has been a privilege. Her latest project has been to finish her Masters of Education in Educational Leadership at VIU, a program that she draws from in her role as Assistant Head - Academics. These are exciting times in education, and as Shawnigan celebrates it centenary, Wendy is looking forward to being involved in the evolution of the Shawnigan curriculum for the next 100 years. And on a more personal note - yes, she has been struck by lightning. Greg Reid joined the faculty of St. Andrew's College in 2000 as Director of Athletics and was promoted to Assistant Headmaster (School Life and Operations) in September 2012. His current responsibilities include overseeing all aspects of student life, leadership, and discipline. He earned BA, B.P.H.E.(Hons.) and B.Ed. degrees from Queen’s University and completed an M.Ed. degree in Educational Administration at OISE, University of Toronto. 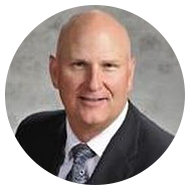 Greg is also a graduate of the CAIS Leadership Institute and holds the professional designation of Certified Athletic Administrator (CAA). Greg has an extensive teaching background, having taught physical and health education, outdoor ed., special ed., co-op ed., mathematics, geography, and science, at both the elementary and secondary levels in four schools in York Region. Prior to moving to SAC, he was the Head of P.H.E. and the Elite Athlete Program at King City Secondary School. 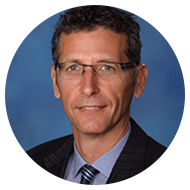 He is a past President of the York Region Athletic Association (YRAA), past Chair of the Conference of Independent Schools’ Athletic Association (CISAA) and held the position of Boys' OFSAA representative for six years. Greg has convened and hosted numerous CAIS and OFSAA tournaments at SAC and is a past Chair of the OFSAA Sport Advisory Committee for lacrosse. Greg has been the Head Coach of St. Andrew's 1st Lacrosse team since 2004, winning numerous tournaments and championships including nine straight OFSAA appearances and five OFSAA medals (gold in 2007). He has coached hockey at all levels and is currently an assistant coach with SAC's JV Hockey team. Greg assisted in the design of the School's upper fields project, which resulted in the outstanding Yuill Family Athletic Complex, and recently consulted on the design and construction of the School's new La Brier Family Arena. Greg was an assistant coach in the Team Ontario Field Lacrosse program for four years, volunteers his time coaching hockey and lacrosse in the community, and is currently the Director of High School Teams for Evolve Elite Lacrosse. He holds multiple coaching certifications as well as qualifications in scuba, canoeing, and challenge course management. As a retired Sergeant-Major in the Infantry and Armoured Reserves, Greg takes a special interest in the Cadet Corps program where he holds the rank of Lieutenant. Greg lives with his wife, Chryssi (an elementary school teacher), and their two sons, Bowen (SAC '15, Queen's '19) and Brayden (SAC '18). Chris Schneider. After earning my BA and MA in Political Science from the University of Calgary, I took a one year teaching position at a private university in Mexico. It was during this exciting and foundational experience that I became convinced that a career in education was the path for me. Upon returning to Canada and completing my BEd, I was fortunate enough to earn a teaching position at Strathcona-Tweedsmuir School where I have been for the past 13 years. My time at STS has been extremely rewarding and I have taught social studies, international relations and economics in the Middle and Senior Schools, coached volleyball, planned and led international athletic, history and service trips, and directed our school’s Model UN program. After six years of full time teaching, I began to split my time between the classroom and my role as Director of Mentorship, leading an induction program for new faculty and liaising with area universities in support of teacher internship placements. Two years ago, I was posted to the position of Assistant Principal in our Senior School and I have enjoyed the challenges of managing the many dimensions of student life, supporting professional development, and directing a variety of initiatives in support of our school’s mission. I currently live in Calgary with my beautiful wife, Kara and have two daughters and a son who have all benefited from attending independent schools. As often as we can, we pack up our gear and head west to ski the breathtaking slopes of the Rocky Mountains.